Not very far along...but getting there! Edited by Bhuter, 16 April 2019 - 09:36 AM. Beautiful plants you have there! That's too cool to see people are still growing SB7J, I grew quite a few in 2012 when they first came into the scene if you will. They were one of my favorites. 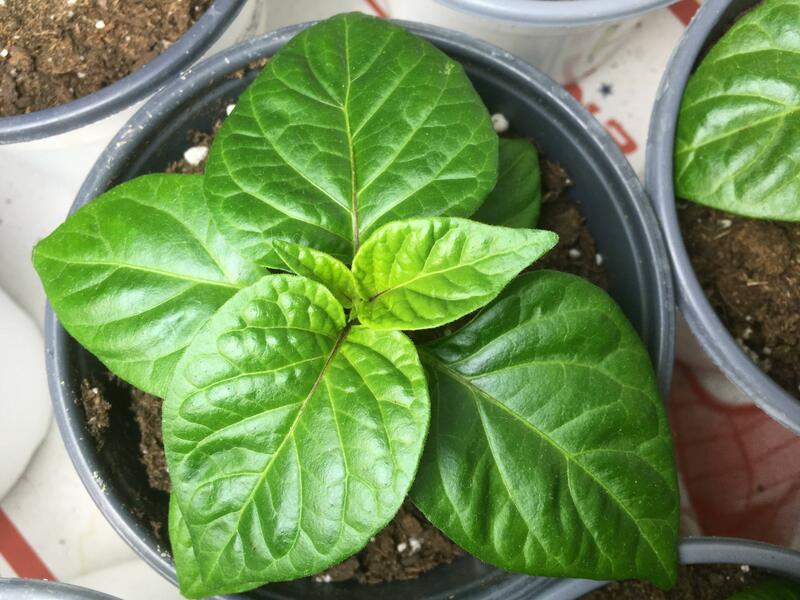 I'm growing the 7Cinder as well this year, been a few years since I've grown any peppers so that is a new variety to me (along with the other 120 new superhots that have shown up in the last couple years ) Is this your first year growing them as well? Interested how they are flavor and production wise. They sure look cool. Well best of luck with your grow! I highly recommend growing this one. Let me know if you need seeds. I got mine in 2014 and I still use the same seeds. Thanks, Andrew! I'm glad you're still around here. Is Hogleg around? I should look him up. Growing many purples this year? I still want that...blue mystery was it? Judy's; blue Mystery praetermissum, dang-it i forgot to plant that one this year. I'm glad you still have Blue Mystery seed! Were you successful last year harvesting new seeds? Your plants look great, Adam. Nice and healthy green. and bigger. Good luck going forward, my friend! Welcome back . Better late than never, eh. Those Lemon Boy, Bishop Crown and Haskorea that you sent me are all going in my garden this year. . I didn't realize hogleg wasn't around. Plants look great Adam! Edited by Walchit, 16 April 2019 - 07:48 AM. Thank you, Paul! Every glog I look at or random post I see, I notice varieties that I failed to start.  But, I'm still waiting on Tovarii seeds to pop, so I don't see why I couldn't start a couple PDN x BMJ plants, too! I still have a total of 6 months left, so that should be long enough. 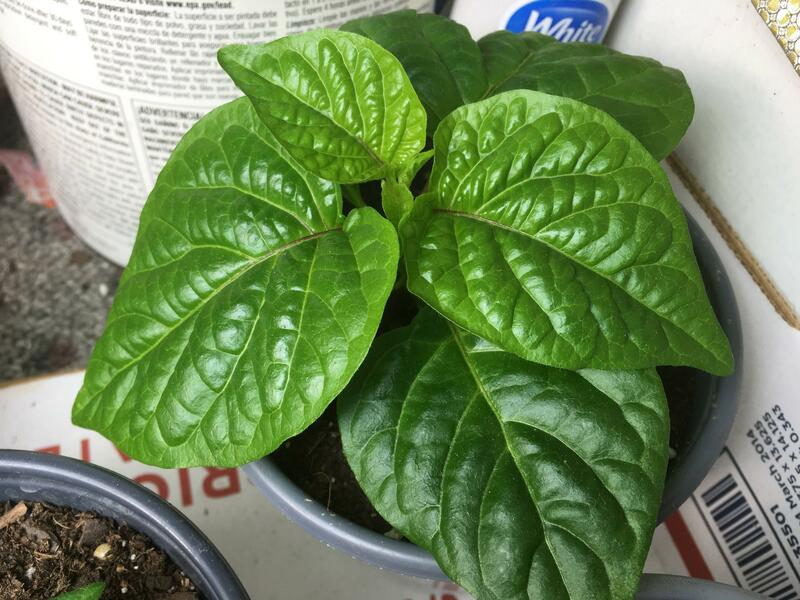 Thank you for trying out my isolated seeds this year! I hope they excel for you! Fantastic! That Haskorea was surprisingly hotter than I was expecting. German Pinks are a favorite here and the lemon boy are low acid maters. All true winners, IMO! Woohoo! Thank you, Andy! You've got your hands full this year again with 700 plants! Whew! I hope your yields are bountiful! Yeah, bummer about Hogleg. Hopefully he's at least growing this year. I'm sure he's growing meds. I shoulda grown one or two this year. It's legal here, now. Those gals look great, and you have plenty of time for them to get huge before they go outside. Wishing you the best this season! Hi, Al! Good to see you're back, too! Thank you! 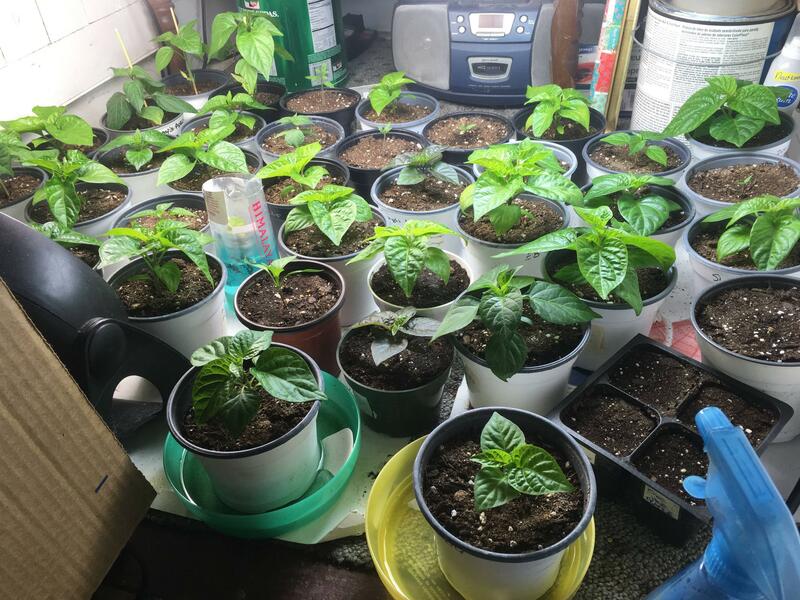 I started seeds around the end of Feb. beginning of March. So roughly 4-6 weeks. I still have more coming up. Do you have some awesome CPR's this year? PINK MORUGA FROM MOJO JUST HOOKED! Waiting on other late additions.